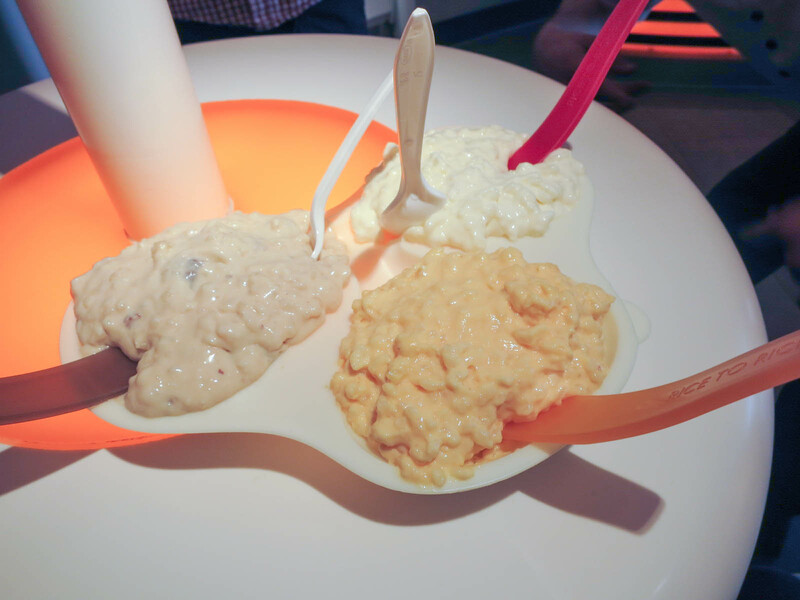 Rice to Riches is a shop in New York City that serves only rice pudding. They have dozens of flavours ranging from plain, fruity, nutty, or chocolate. The inside of the store is bright, fun, and modern and you could spend a long time reading all of the cheeky sayings all over the walls. A single portion of rice pudding is quite expensive, so my family decided to get a three portion size to share. We tried the butter pecan, peach mango, and the coconut. All of the flavours were very good and I would suggest trying a variety of them because it was nice to have a mix. They were all rich and creamy and had a delicious thick texture. Rice pudding isn’t my go-to dessert, but I enjoyed trying it for a novelty. It is a fun little shop to check out if you enjoy rice pudding or want to try something different. Recommendation: Yes if you like rice pudding.